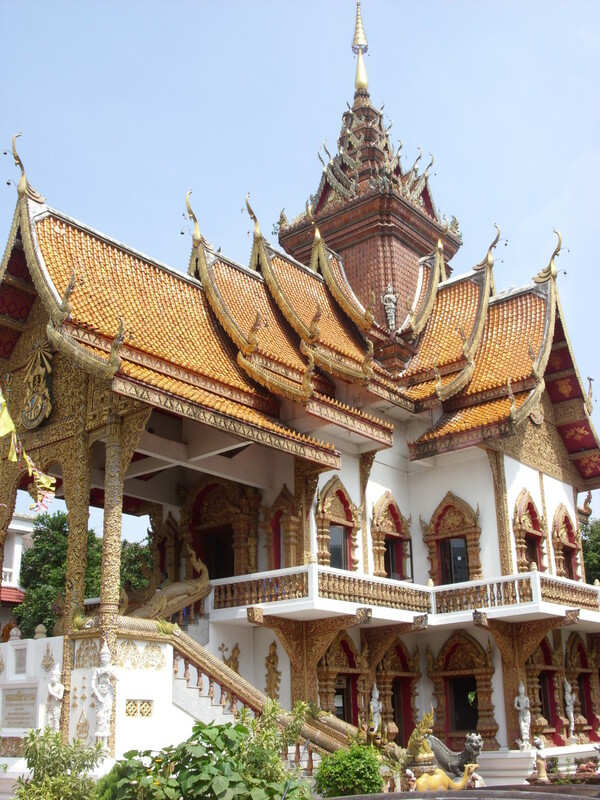 Thailand has no shortage of Buddhist temples. They are, almost without exception, strikingly beautiful. Even in small out-of-the-way countryside temples, it's not uncommon to find stunning art, sculpture and architecture. Temples and temple grounds are also mostly tranquil oases of calm, which, in addition to providing an atmosphere conducive to the spiritual pursuits of Buddhists, also provide a welcoming ambience for visitors to wander around at their leisure and enjoy the wealth of art and beauty all around them. 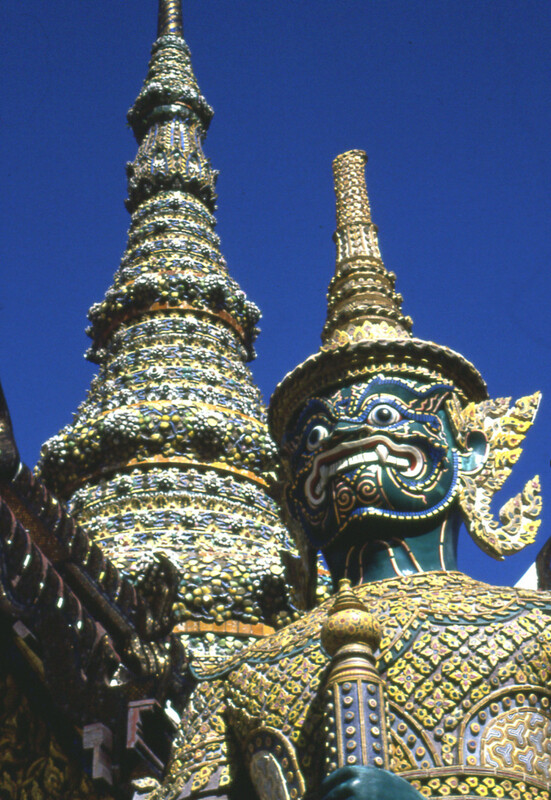 The fierce figure above isn't in an out-of-the-way countryside temple, but in Thailand's most revered temple: Wat Phra Kaew, The Temple of the Emerald Buddha, in Bangkok. This picture is of a temple guardian giant, known as a Yaksha, a fierce but benevolent nature spirit introduced to Buddhism from Hinduism. 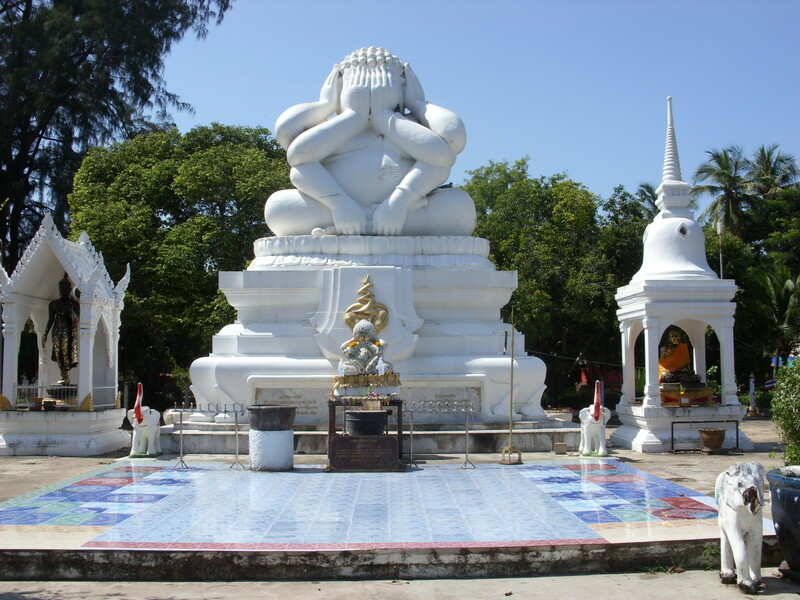 Yaksha are known in Thailand as "Yuk" and they are commonly seen, armed with giant swords, guarding temple doorways. 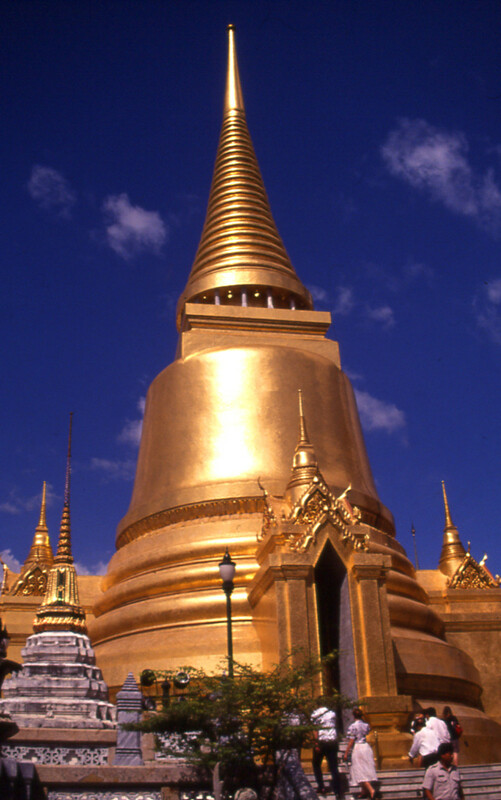 Also at Wat Phra Kaew (The Temple of The Emerald Buddha), this Golden Chedi is a highly visible landmark. 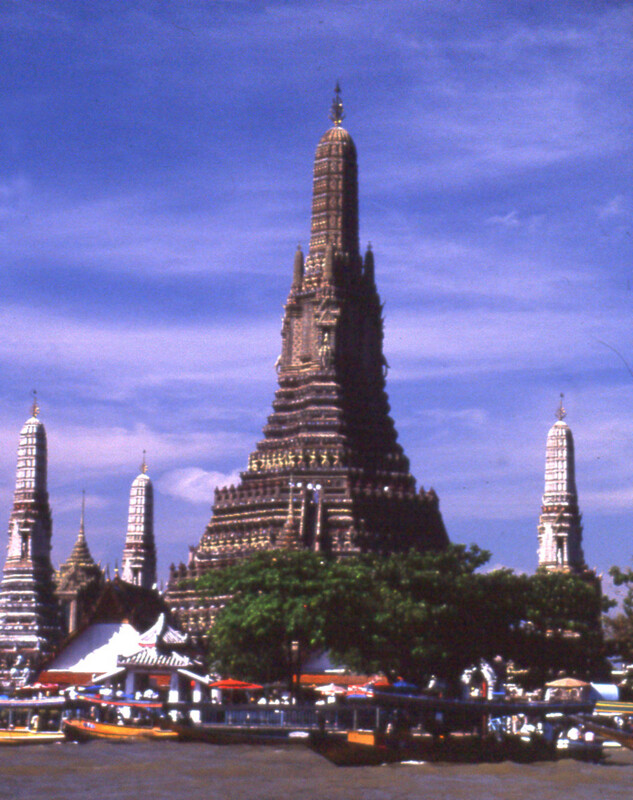 'Chedi,' also known elsewhere as pagoda or stupa, are reliquaries. 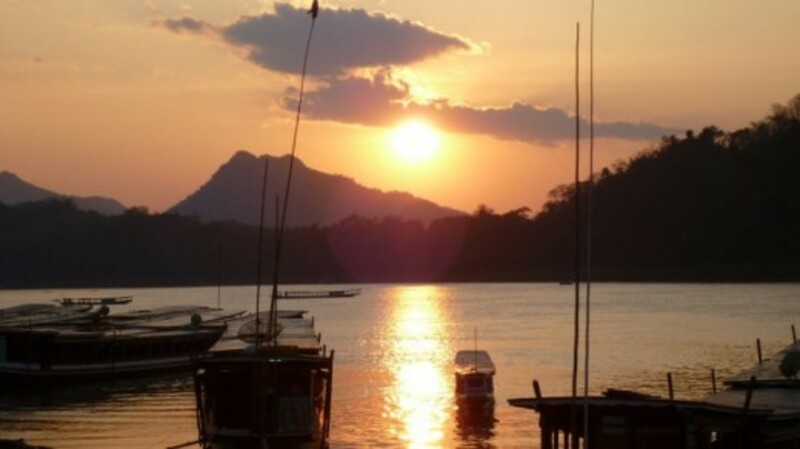 That is, they contain a relic of the Buddha or of a famous and revered abbot, or other relics of religious and (in the Kingdom of Thailand) sometimes royal significance. Some even claim to contain a relic of Buddha himself. The Emerald (actually a form of jade) Buddha is quite a small Buddha image. 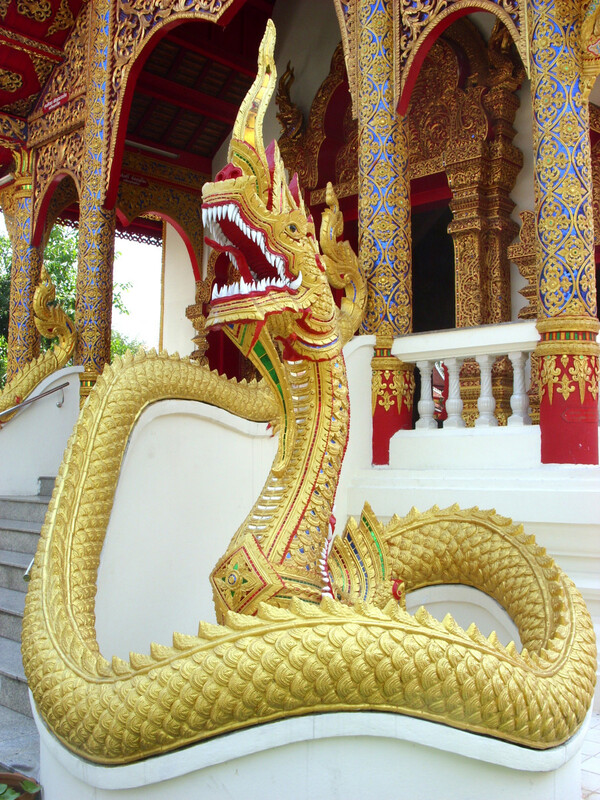 It is housed in the main hall of the temple and is considered Thailand's most revered Buddhist icon. 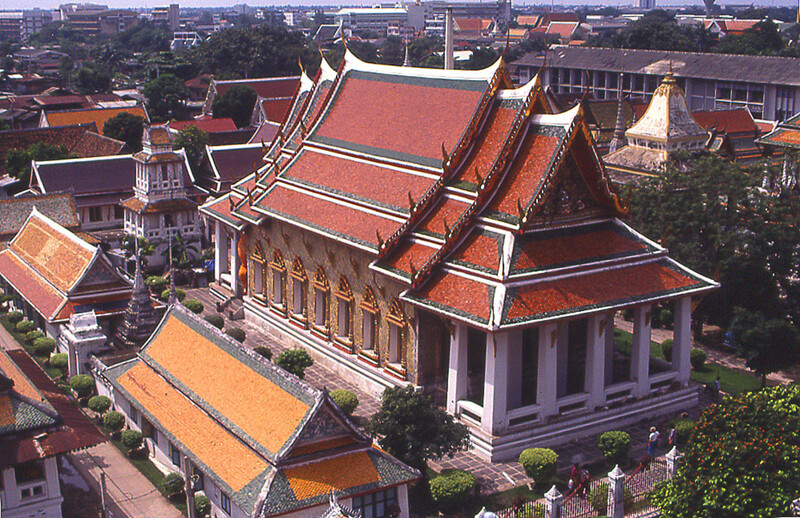 The temple served as a royal temple within the grounds of the Grand Palace. The palace is no longer a royal residence, but both the palace and the temple provide settings for important state and religious ceremonial occasions. Apart from those occasions, the temple is open to the public (an entry fee for foreigners applies). 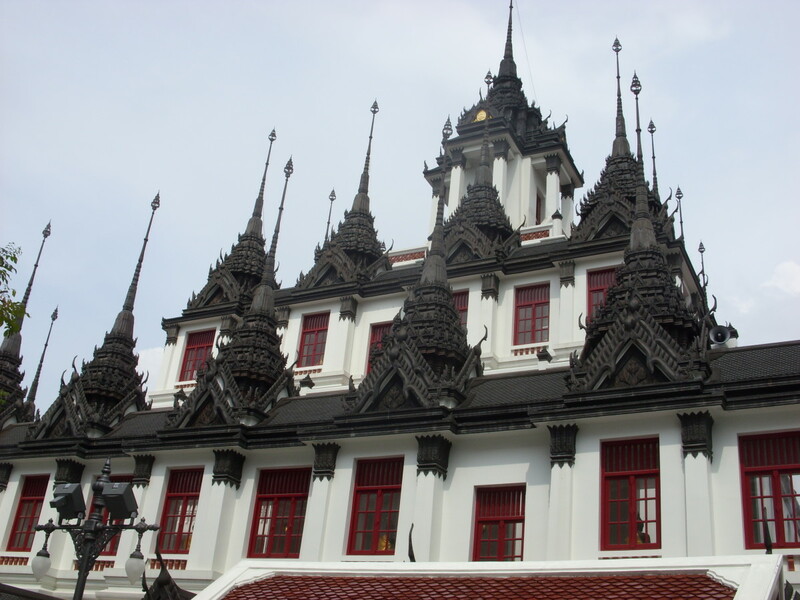 Wat Bupparam (Bupparam Temple) is one of Chiang Mai's more striking temples. It has a long and colourful history. A former Royal Temple, established by King Muang Kaew, the temple dates originally from 1497 but has undergone frequent restoration. 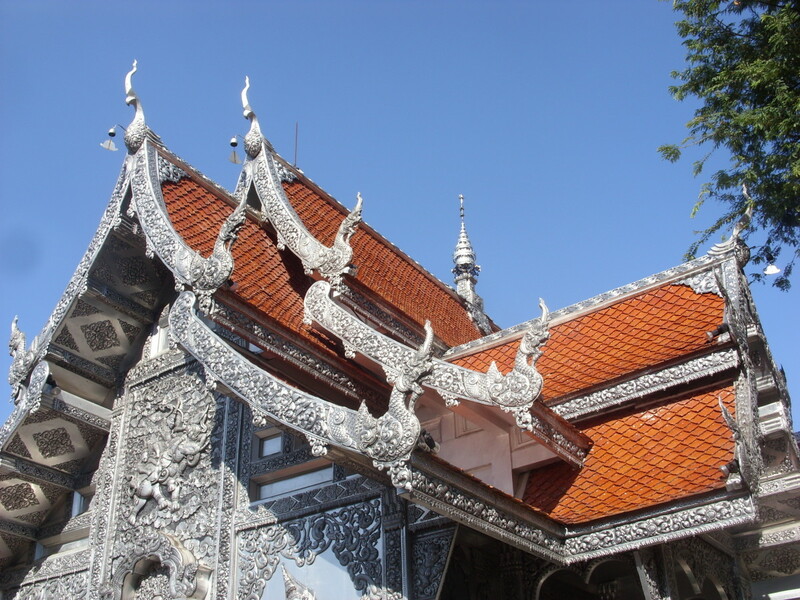 The design is certainly eye-catching ,but isn't typical of this region's traditional style of temple architecture. 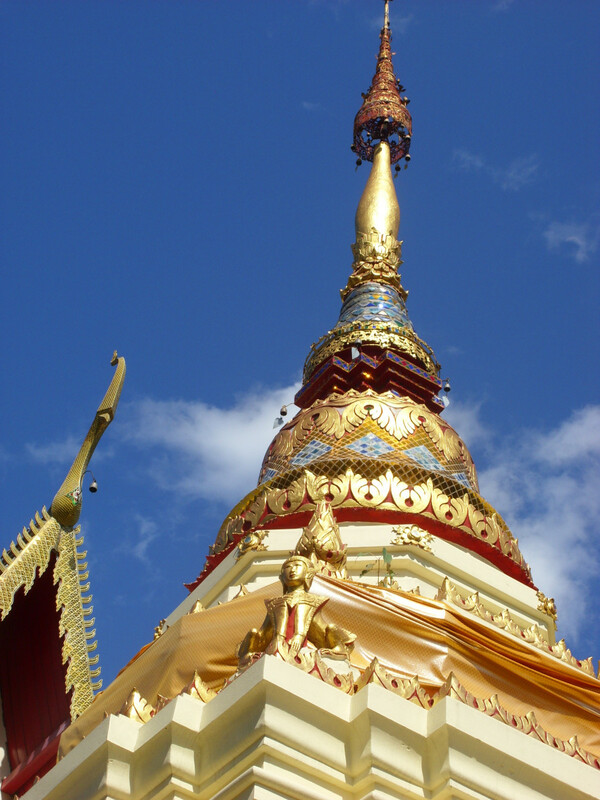 Wat Bupparam is situated on Tha Pae Rd, Chiang Mai. 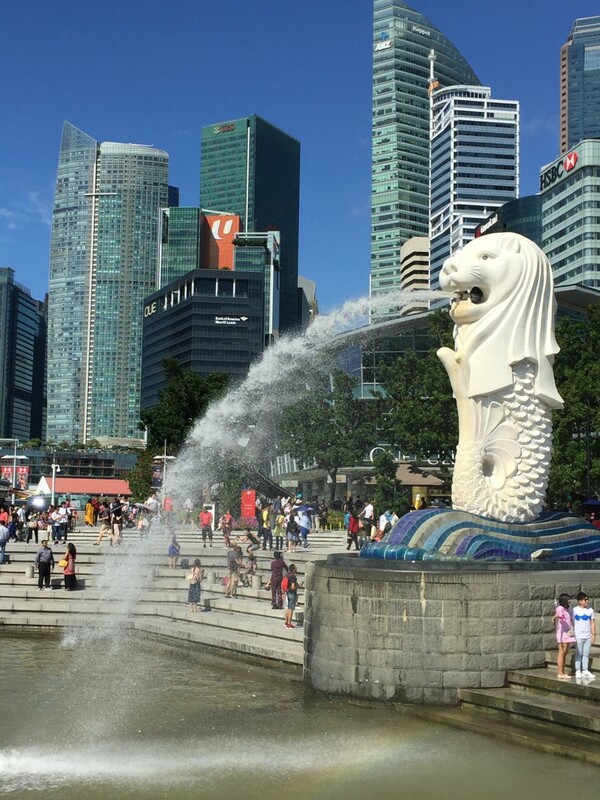 Many interesting buddhist icons and animal sculptures (including Donald Duck!!) are strewn throughout the temple grounds. Wat Bupparam temple is open every day to devotees and visitors alike. The prang is studded with broken porcelain and sea shells, and is one of Thailand's most famous and recognisable Buddhist structures. 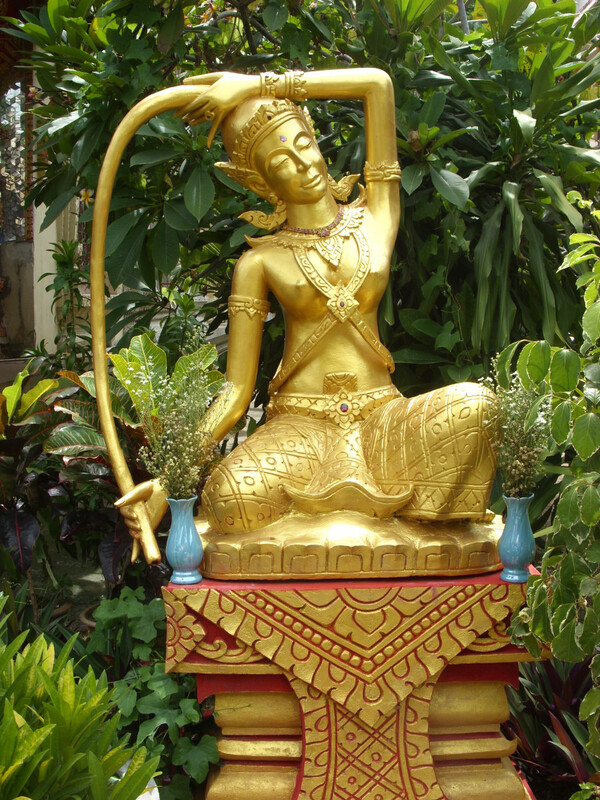 Phra Mae Torani, the Earth Goddess, is a deity who entered Buddhism by way of Hinduism. In Buddhist legend, she was the witness of Buddha's enlightenment, and his protector. Statues of Phra Mae Torani always depict the legendary event in which she wrung the water from her hair, which swept away those intent on harming the Buddha and preventing his enlightenment. 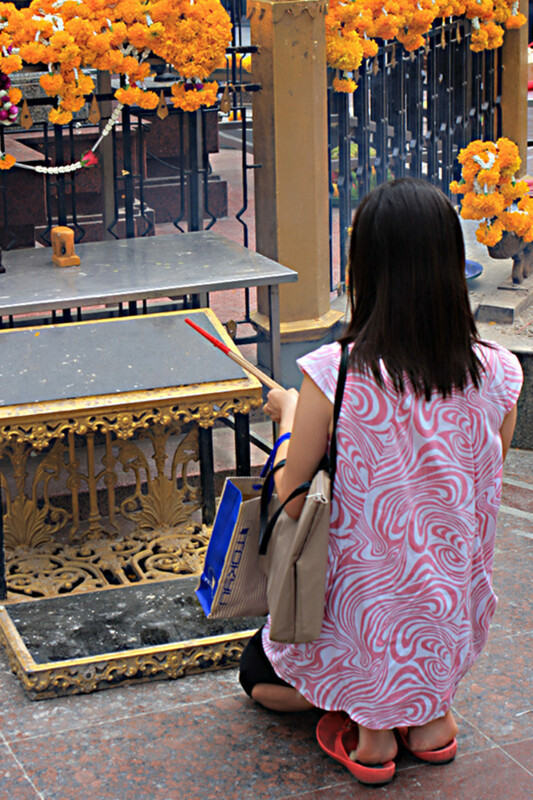 She can be found at numerous temples throughout Thailand. The Fasting Buddha is a famous statue of the Buddha (Siddhartha Gautama) in the grounds of U Mong Temple in Chiangmai. The temple is around 700 years old, and rich in ruins and very old broken Buddha images. 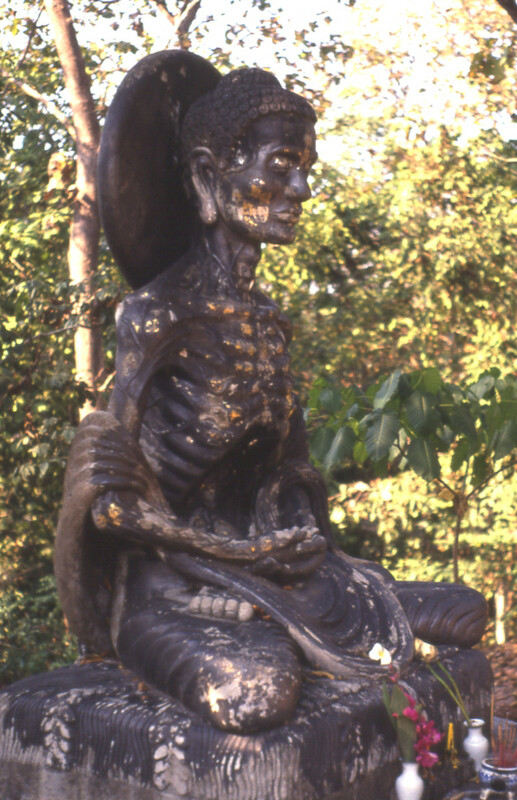 The emaciated look of the Buddha depicts his unsuccessful attempts to gain enlightenment through asceticism and extreme austerity: a lifestyle completely opposite to his former life of luxury as a prince, which he had previously rejected in his search for the truth of the human condition. 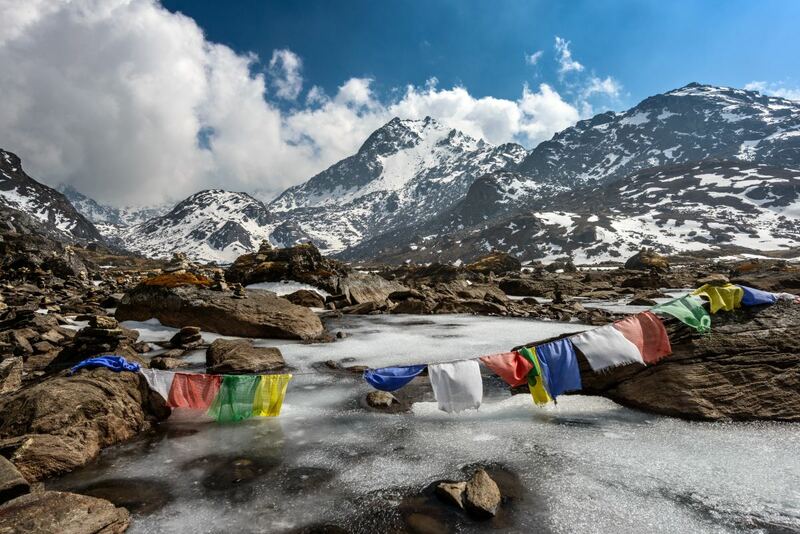 The eventual realisation of the futility of such ascetic practices led to his conceiving and embracing of "the middle way," which paved the way to his eventual enlightenment. Wat U Mong (U Mong Temple) is located to the west of Chiangmai, at the foot of Doi Suthep Mountain. The Hindu/Brahmin deity, Ganesh or Ganesha, is instantly recognisable by his elephant head on a human body. He is known in Thailand as Phra Pikanet and is widely respected in Thai Buddhism. 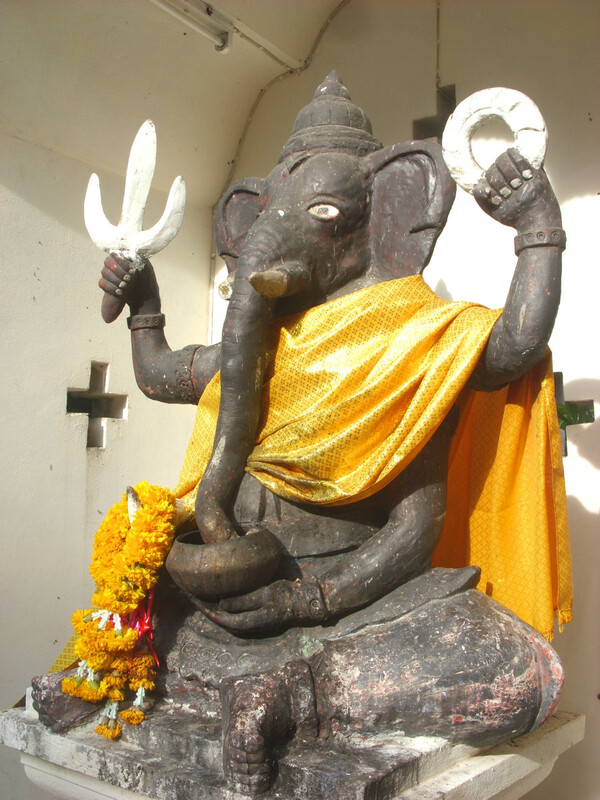 Statues of Ganesh are fairly common in temple grounds and elsewhere. Ganesh is revered as the "remover of obstacles" and is associated with good fortune and success in life and in business. He is also a spiritual patron of the arts, and his image may be seen prominently displayed in the grounds of many large media centres, such as TV stations and colleges of dramatic arts. 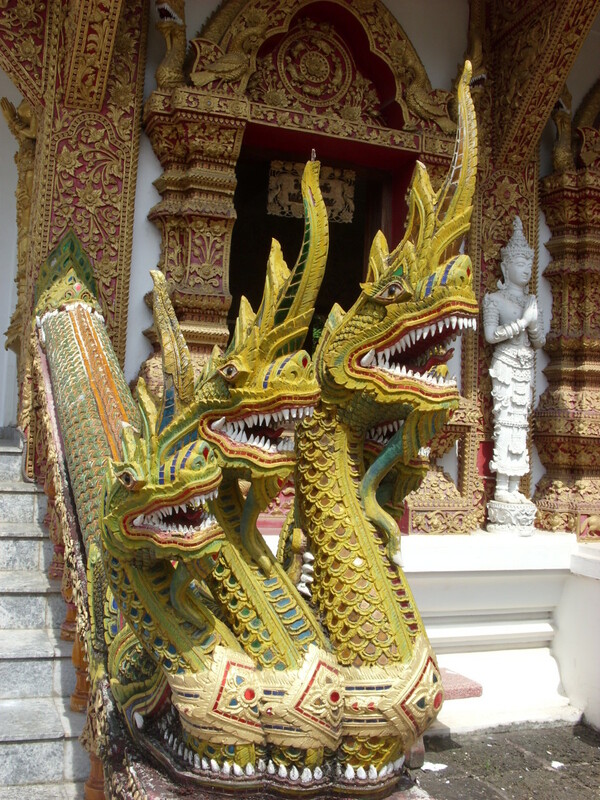 Naga, known in Thailand as Nak, are fearsome, sometimes multi-headed, serpent or dragon-like icons often placed as guardians at temple entrances. As with many other Buddhist icons, they arrived in Buddhism via Hinduism. 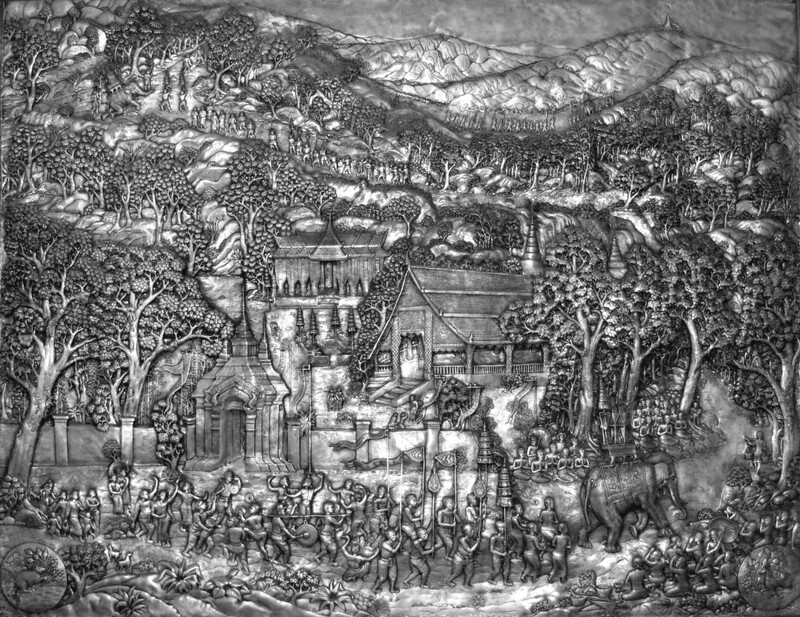 They are mentioned in the great Indian epic, Mahabharati in less than glowing terms, but elsewhere in a more favourable light. In Thailand, they are held in high esteem as trusted protectors of temple artifacts. Thanks srsddn, Yes, they have a very tranquil atmosphere. I love the shared Hindu-Buddhist icons too, such as Ganesha, the Yaksha and naga. I never heard about six armed Buddha earlier. 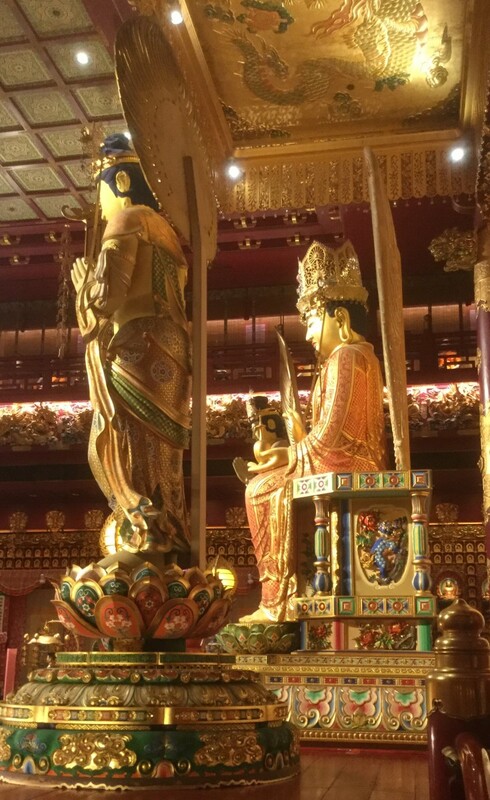 The architecture in Buddhist temple is magnificent. 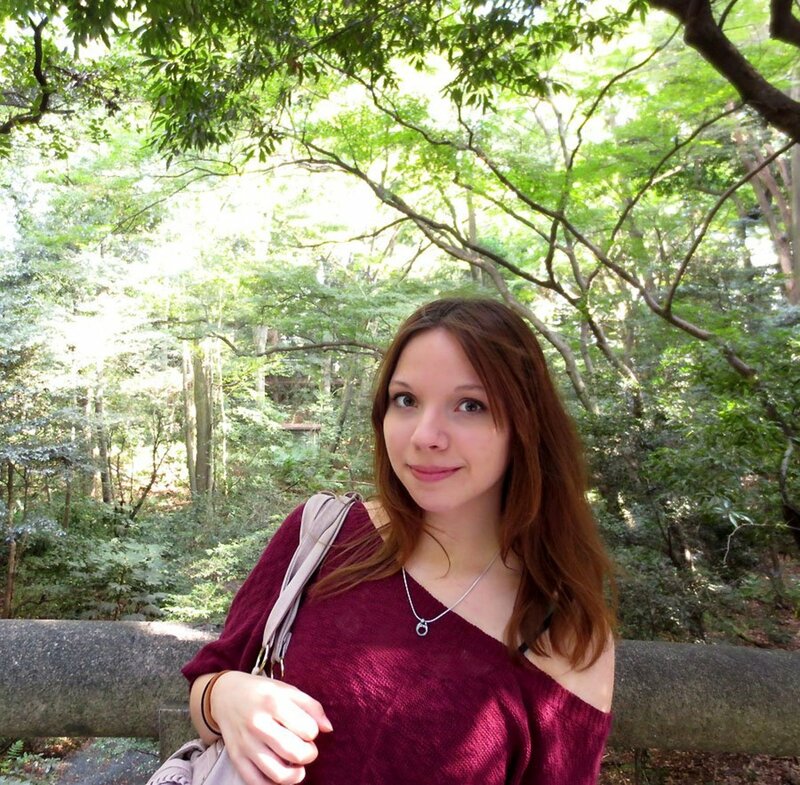 I love Buddha temples which mostly have serene atmosphere. Also the devotion is unparalleled. I am glad that the philosophy which originated in India is still flourishing in Thailand. Nicely done. Merci Chef. Yes, they're amazing buildings, aren't they? It's hard not to take a decent photo when the subject matter is so photogenic. Thanks for commenting and voting. Simply stunning images. 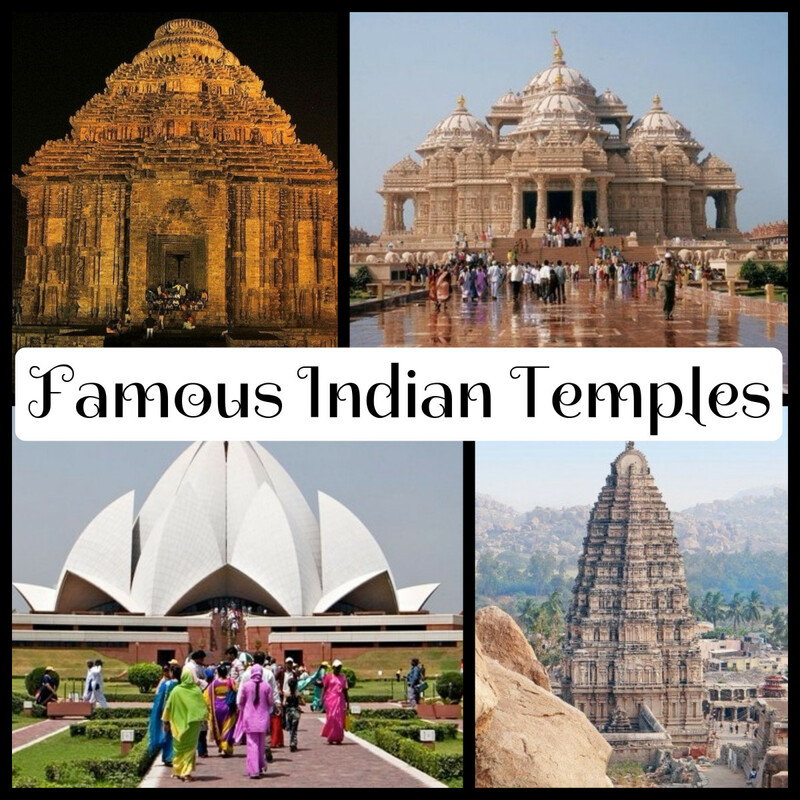 Some of the craftsmanship involved in the building of these temples defies belief. Quite a contrast with some of our western stone cathedrals and the like! Interesting the idea of an Earth Goddess coming to the aid of Buddha - the earth is always seen as feminine when it offers protection. Great colours and artistry. Some insightful write ups too. Thank you. Voting.